Taylor Fuchs is a Canadian model from White City, Saskatchewan. He has appeared in campaigns for many important fashion houses such as “Burberry”, “Fendi”, “Dolce & Gabbana”, and “Lindberg”. He has also appeared in the magazines 10 men and GQ. He was named by Forbes magazine as male model of 2008 becoming one of the most successful male models. in 2009, he achieved 9th place. Fuchs was born as Taylor Brett Fuchs on January 17, 1987 in White City, Saskatchewan, Canada. 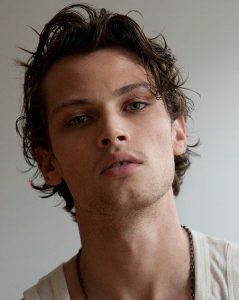 By signing a contract with the modeling agency Public Image Worldwide, he began his career as a young model at age 20. *He was born on January 17, 1987 in White City, Saskatchewan, Canada. *He began his career as a young model with the modeling agency Public Image Worldwide. *Forbes ranks him as the world’s ninth top male model on 26 Jun, 2009. *His hobbies include listening to Bob Marley, volleyball, and working out.